Bali Travel Guides and Tips – Bali has been acclaimed all around the world for its wonderful experiences for many kinds of tourists. Located around the western part of the Lesser Sunda Island, its legendary beauty offers a bunch of unique experiences to enjoy. Are you an adventurer or a cultural aficionado? Looking for private sightseeing spots or biking tours? No need to worry! This Land of Gods has plentiful destinations to fulfill your fantasy in this island of thousand temples. 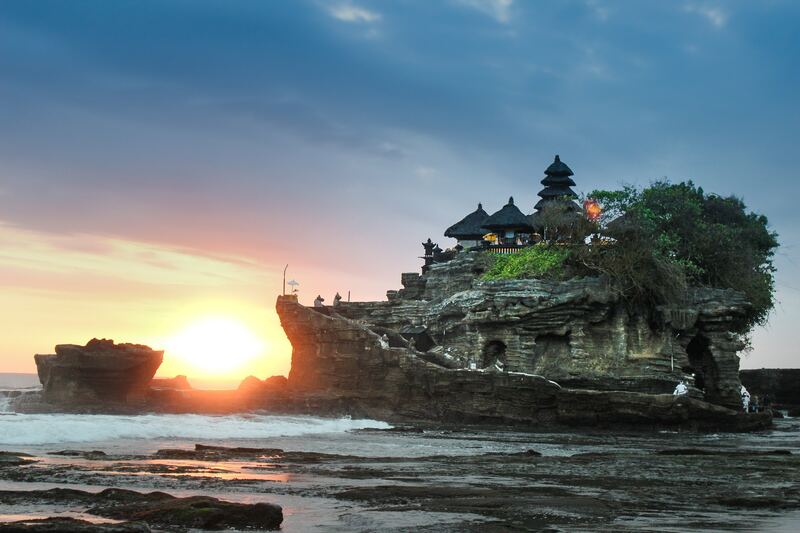 Here are some guides and tips you just can’t miss during your visit to Bali. Plan your tour of Bali on tripcetera.com to get the best deals. Ubud is scattered with varies of unique places you don’t want to miss. Famous for the epicenter of cultures of Bali, Ubud won’t disappoint those who enjoy arts, relaxation and some actions. Situated in Gianyar Regency, Ubud Its world-acclaimed natural beauty offers you peace yet adrenalin-pumping experience in this eastern part of the island. The Tegalalang Rice Terraces are the most iconic photos you can possibly take. The dramatic terraces are vast and green bright. For a nice biking journey, you can take a cool and breezy bike tour around the rice terraces with local guides to take you to see rural Bali. You may enter free of charge, but it is possible that you need to pay a small fee to enter different sections. You also can’t leave Ubud without souvenirs to take home. Fret not! Tegalalang handicraft center shall provide you with tons of various items. Paintings and pieces of jewelry such as necklace and rings aren’t hard to find. It comes with many shapes, color, size, even materials. Assorted ornaments and pieces of furniture with Balinese style are also displayed along the roadside shops for you to choose. Those who love trekking can also challenge yourself to climb Mount Batur to savor magnificent views of sunrise in Bali. The golden sun creeping up shall reveal the mythical Mount Agung on the top of Mount Batur. Another treat for your adventurous soul is the waterfalls in Ubud. Numerous waterfalls such as Goa Rang Reng and Tegunungan Waterfall are cool spot to spend your afternoon with your friends. Imagine yourself bathing under the sun on a hot summer day, cocktails on your hand and a burning sunset to end your perfect day on a white sandy beach with your loved ones. Also, imagine world-class surfing or even diving without having to book another flight from your previous relaxing beach. Why have one when you can have them all on the beaches in Bali. If you’re looking for a private and exclusive escapade, Sundays Beach Club at Ungasan Clifftop Resort in Bukit Peninsula is your answer. Located under the cliff, Sundays beach is a hidden gem for those looking a serenity after a drilling year in your office. This hidden paradise has much to offer for your eyes to see, turquoise water and swimmable sea are yours only. The vast ocean view will delight your day while you sip the cocktails. In the night, don’t miss the bonfire and delicious Mediterranean cuisine from the semi-open kitchen. Don’t wait up and book your room on tripcetera.com right away! Among the surfing spot in Bali, Balangan might have to be in your bucket list. Visited by surfers from all around the world, Balangan offers the perfect wave for pros and beginners. For you who don’t surf, there are also plenty of things you can do. Aside from its perfect wave for surfers, Balangan is also a laid-back beach, you can relax on white sand while drinking coconut water you can buy from small cafes or warung along the beach. Blue Lagoon Beach near Padangbai is another secluded spot you want to visit for a nice solitude vacation. Cut off by rock headland and framed with palm trees Blue Lagoon is the perfect spot for sunbathing all day. Only a few meters from the shore you can find corals to snorkel around. If you’re up for diving, take diving boats from Padangbai for 5 minutes ride. Prepare yourself for reef shark, moray, rays, and octopuses for a hard-to-forget experience. Dramatic dances and ceremonies crowded with arts are hard to miss in Bali. Its ceremonies are mostly held in temples you will find spread around in Bali. The most famous Kecak Dance is the most iconic performance you can’t find anywhere else. The dance tells the story of Sinta, Rama’s wife by the antagonist ogre Rahwana. The dancers are about 70 men wearing black and white gingham sitting in a circle. The dance is not accompanied by any musical instruments, but only the choir who sing “cak cak cak”. The mythical dance is performed in the open setting, usually when the sun is set because the dance would involve fire with the dancers. There are currently 169 countries with Visa Free facilities to visit Indonesia. This visa is applied for 30 days and non-extendable. See the list in the link below to check if your country is granted Visa Free Facilities. There are plenty of options for transportation for you in Bali according to your destinations in Bali. There are public transportations such as busses and the popular bemo (motorized rickshaw). The most convenient option is to rent a motorbike. Rent cars via tripcetera.com to go anywhere you want! You can find rented cars and motorbikes all around the island. However, it is recommended to rent cars or motorbike prior to your visit, especially in high season. Also, international drivers’ license is required. Indonesia has only 2 seasons, dry and rainy. According to National Meteorological, Climatological, and Geophysical Agency, the dry season this year will be in April to October. While rainy season is predicted from October to April. Consider the weather according to your destinations in Bali. When planning to go to beaches, choose a month between April to October to get the best experience.